I have become a huge fan of Costco lately. No, not because of the samples… well, maybe just a little. Mostly because they’ve done an incredible job listening to their customer requests for more wholesome and organic foods and have delivered in a big way. Coconut oil has been called the “healthiest dietary oil on earth”. The saturated fat in coconut oil is unlike the fat found in meat or other vegetables fats. 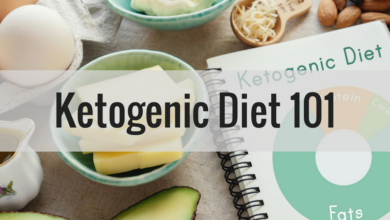 It is identical to a special group of fats found in human breast milk, called medium chain triglycerides, which have been shown to improve digestion, strengthen the immune system, and protect against bacterial, viral, and fungal infections. And, I’ve even used it for facial skin care and helping to heal rugby wounds (yep, stitches were involved). 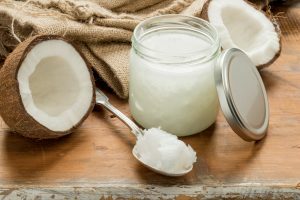 Quick Tip: Heads up, coconut oil is still a fat, and therefore comes with a significant caloric load, so keep that in mind if you’re eating it straight from the spoon or adding it to your morning cup of joe, …calories still matter most. One large whole egg is low in calories and sodium, and provides more than 6g of protein (depending on the size of the egg). 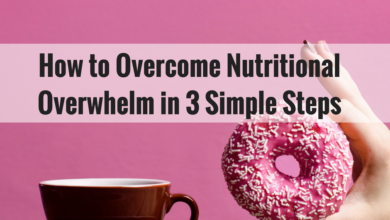 Numerous vitamins, including vitamin A, potassium and many B vitamins like folic acid, choline and biotin, are also packed into this oval-shaped staple, which are specifically needed for the health of the nerves and the brain. In fact, the incredible (edible) egg is one of the more diverse foods in terms of nutrient density, a nutrient powerhouse. 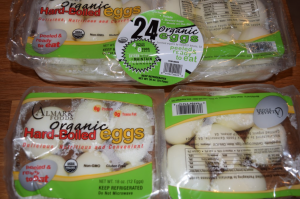 Quick Tip: Use the hard-boiled eggs for a quick and easy breakfast or mid-day snack. Brown rice specifically, because in many cases it’s undergone less processing (stripping of the bran and germ layers), is an excellent source of vitamins and minerals like niacin, vitamin D, calcium, fiber, iron, thiamine and riboflavin. These vitamins provide the foundation for body metabolism, immune system health, and general functioning of the organ systems, since vitamins are commonly consumed in the most essential activities in the body. 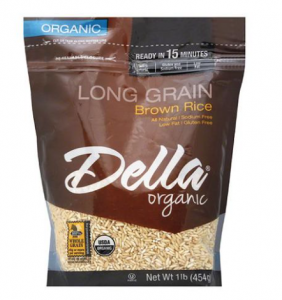 Additionally, whole grain brown rice may have more insoluble fiber than white rice which helps slow down the digestion of carbohydrates and aid in digestive health. Quick Tip: Cook a big pot of rice on the weekend and reheat throughout the week to go with your protein and veggies. Nuts can make for a great snack or as a compliment to a meal. 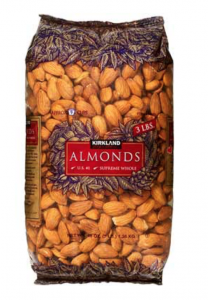 Nuts are loaded with vitamins and minerals, modest protein and healthy fats. Quick Tip: A small handful of nuts (about 2oz) is equivalent to a serving of fat, or about 15g of fat and 3g of protein. That’s equivalent to roughly 180 calories which is a hefty caloric load for a small amount of food. Keep this in mind if you find yourself snacking on nuts throughout the day as they may be actually hindering your weight loss goals by contributing too many calories to your meal plan. 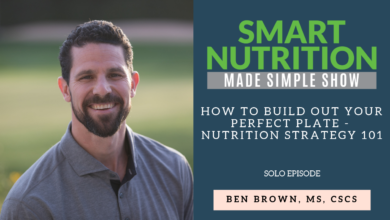 This combination of protein and fiber will help keep you feeling full for longer than a high-fat dip that doesn’t contain much fiber, such as a full-fat ranch dip. Note: these Costco snack packs are about 4 tbsp, so twice the above numbers. 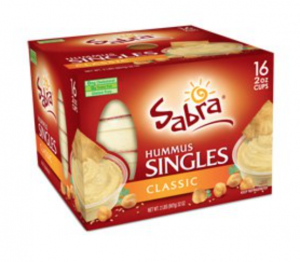 Quick tip: Use these for dipping cut up veggies, like carrots, celery, cucumbers, asparagus, broccoli, cauliflower, etc. Quick and Easy! 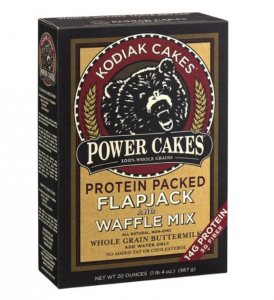 This is a great combo of tasty pancakes with additional protein. What more could you ask for in a super easy to follow recipe. I feel better making these for my kids in the morning knowing they’re getting a decent amount of protein for better energy, brain and blood sugar function. Quick Tip: Add the organic berries and maple syrup (below) to round out these beauties. Also, if you want to even further boost the protein content, use the costco liquid egg whites in place of the water/milk. 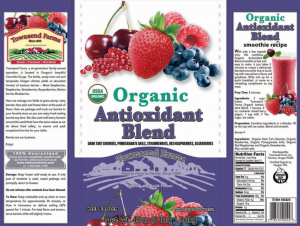 This antioxidant rich blend is a great option for smoothies and adding to the Kodiak cakes mentioned above. Quick Tip: Make a simple syrup berry reduction by simmer the berries with a little bit of water and use it to top your Kodiak Cakes. 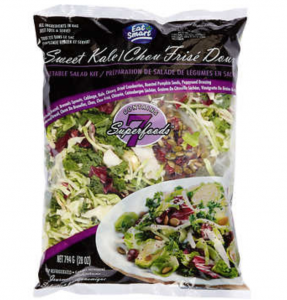 I love the dressing too, but truthfully, it is crap. Full of soy/vegetable oils, which are among the worst oils we can consume. So, I’d suggest making your own dressing with olive oil, Dijon mustard, lemon juice and a little salt and pepper. 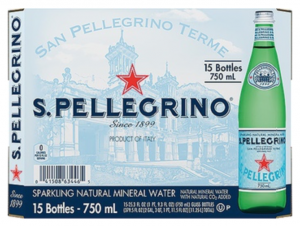 This stuff tastes great and has an excellent mineral profile (sodium, magnesium, potassium, etc..) that we typically don’t get in bottled water that has been filtered… and we all need more minerals because of poor soil and food quality. Quick Tip: Use this as an alternative to alcohol and/or soda if trying to cut back. Even pour it in a wine glass with some fresh squeezed lemon/lime. These are an awesome go-to to be used as a based for salsa, chili, a stew, or a pasta sauce. Enough said. 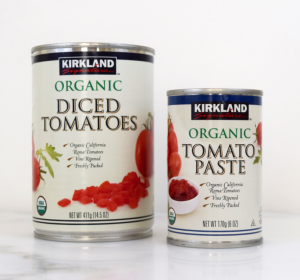 Quick Tip: Just keeping a few cans of these tomatoes on the shelf works great when you’re in a bind and need to throw together a quick and nutritious base for any dish… Bake with chicken, use in a crockpot dish, or whip up into a super simple salsa with rice and beans.